Topics: Info, British Acupuncture Council (bacc), and Bow House Web Design York. 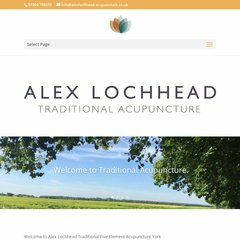 alexlochhead-acupunctu.. Acupuncture treatment by Alex Lochhead from Harrogate and York .. The estimated 103 daily visitors, each view 4.90 pages on average. It is written for PHP/5.3.23 language. ns8.net-hosted.com, and ns7.net-hosted.com are its DNS Nameservers. Blueconnex Transit Customer (England, Berkshire) is the location of the Apache/2 server.